TechALab's areas of research are inspired by real-world problems. But what are the problems worth solving? Conventional wisdom holds that customers notify their supplier/vendor of problems with their products and services. The reality concerning problems is more complex. Sometimes "problems" are not labeled and recognized as such until long after a superior technology has already become widely adopted. Was whiteout tape a solution that saved the time of retyping a page from scratch? Or a messy problem made obsolete by the word processor? Was there anything intrinsically wrong with the horse-drawn carriage? Or the Sony cassette-based Walkman? Older innovations can eventually become like the problems they originally fixed. At TechALabs, we believe there is always room for improvement in the way things are done. We attempt to fix what we think will become tomorrow's problems by developing new technologies that will significantly improve the quality, productivity, and safety of our lives. 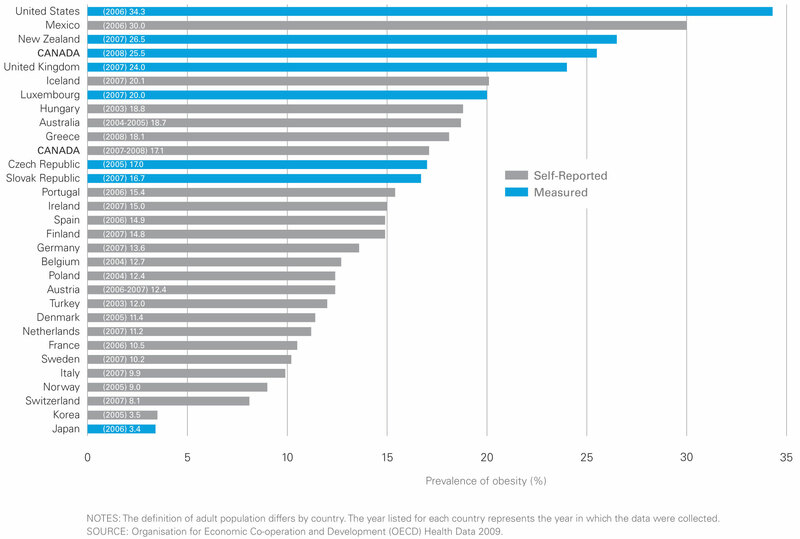 Moreover, over 60% of Americans are currently overweight. Though myriad options exist for obese Americans wishing to lose weight, it is clear from the above chart that previous methods aren't working that well. Fortunately, TechALabs's novel doughs and food products will eventually be giving overweight Americans a line of healthy food products and options they simply didn't have before. That's just one of many examples. You see, at TechALabs, work doesn't stop at the lab. Our goal is to make a real enhancement in the quality of your life. *Image obtained from CPHO Reports Unit/Unité des rapports de l'ACSP, Public Health Agency of Canada/Agence de santé publique du Canada ( http://www.phac-aspc.gc.ca/hp-ps/hl-mvs/oic-oac ), with permission.